As a Boy Mom, I know the importance of Nerf toys for happy childhood memories. It's amazing how these toys have entertained children for decades and are always popular. My children are obsessed, so I worked new Nerf Guns and darts into our Easter Egg Hunt this year. I really like this idea because it focuses on physical activity instead of binging on candy. Let me share the basic ideas and then some photos. 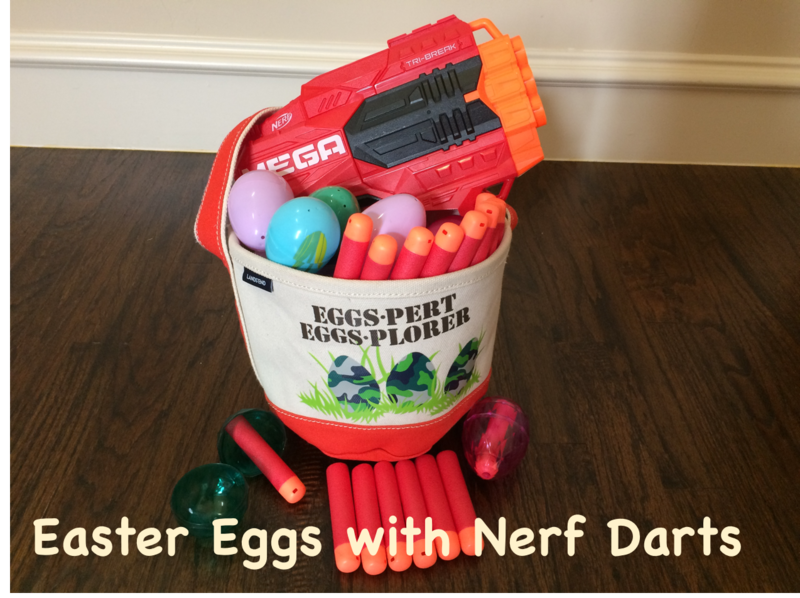 Nerf Easter Egg Target Shooting: Place the plastic eggs on golf tees for them to use as target practice. Nerf Easter Eggs with Darts: Fill plastic eggs with extra Nerf darts so that they are able to race to stock up on darts before their game. Personally, I filled oversized plastic eggs with Nerf darts. This is a fun alternative to filling eggs with candy. While you could technically just set the eggs in the grass, you'll notice that the golf tees are nice because they allow the eggs to sit higher for target practice. 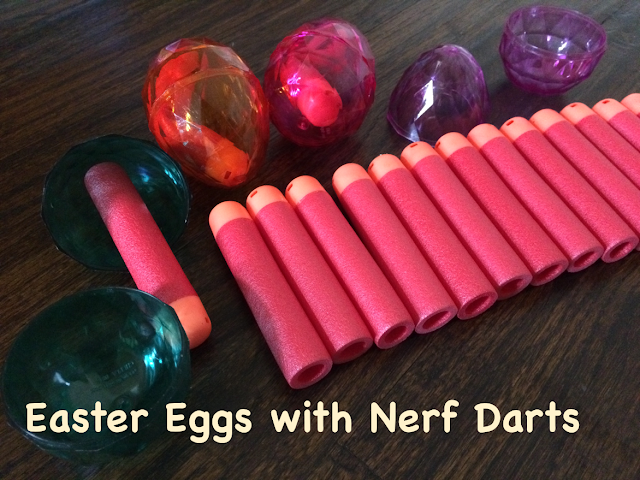 Here are a few of our eggs that are filled with Nerf darts for Easter morning! Finally, I set out their Easter baskets, each with a Nerf gun and goggles. The Nerf Easter Egg Hunt is perfect for my children to enjoy playing together and exercising on Easter morning instead of binging on candy. I think that this Nerf Easter Egg Hunt will always be one of their favorite childhood memories. It's a win on multiple levels!